Note: From time to time we like to feature guest posts from people who really know their stuff. This post is written by Katie Wubben from Trouble Me Knot Embroidery. Many of you may know Katie from her fabulous seminars at the DAX Shows. Katie also sells Melco embroidery machines, and offers training on those machines, so she knows her stuff. You should definitely contact her if you are looking to purchase an embroidery machine. Part 1 of this series deals with the intangibles, price, training etc, that need to be considered when buying a machine. It’s a challenging concept to navigate when deciding, when, what and how you will start or add embroidery to your business. Let me share some tips and tricks to make sure you get the right machine to fit your needs, style, budget and business. We all want to shop by price. But that’s is not the first place to start the process. The old saying “you get what you pay for” comes with some truth in most cases. If you don’t get what you need and have limitations that don’t fit your business, you’ll find yourself quickly wanting to upgrade. This would require adding a machine or going through the process of selling the first one to get a second. Then you have the learning curve of both machines rather than one straight from the gate. 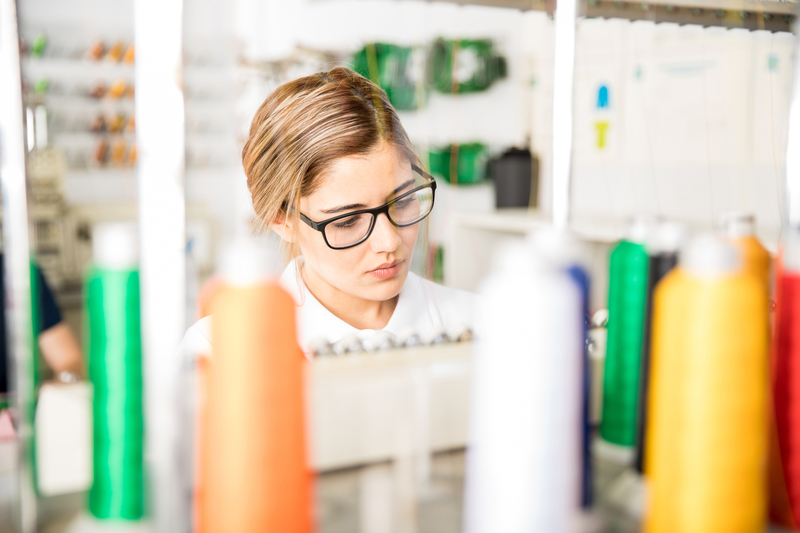 Whether you’ve been in the embroidery business for decades or are just entering, knowing if and what training is included with the purchase of your machine is critical. Will you be on your own to figure things out, or will you have to travel somewhere to get the training you need not only to run the machines smoothly, but also to maintain the machine? Some brands come with on-site training where the trainer comes to you and sets up your machines and trains you on your turf. Will you need to hire a technician annually to go through the machine or will you have the tools and resources to self-maintain the machine? Beyond the machine, will you learn hooping techniques along with when to use what supplies? Things will go wrong with any brand of machine. It’s a mechanical device that has lots of moving parts with a human in control. Things will happen. When they do, having someone that you can understand walk you through the diagnosis along with fixing it is an amazing service! Be sure you now if tech support will come at an additional cost along with where the tech support is based. I personally enjoy USA based tech support. Knowing where technicians are located and what the cost to you will be should need to hire one is a critical piece of knowledge. Maintaining your embroidery machine is just as important as changing the oil on your vehicle. I like being able to do this myself, but some would rather hire it done no matter the cost. Just think about your situation and make a decision you’re comfortable with. Buying a used machine has advantages, but be aware of what to look for and consider before making a purchase. Ask what the stitch count is on the machine and how often it has been maintained. I personally the best time to buy a used machine is when you have one you’re happy with and you need to add a second. This allows you to have the background and training to run it well to know it should sound and look like. This can be handy to avoid taking on a machine that you would otherwise not recognize the issues with. You also will likely not receive training or tech support with a used machine not to mention the latest and greatest software on the market. When that’s the case, one can usually purchase these services at an additional cost. Sometimes a seller will promise training with a used machine. In that situation, I recommend making a partial payment up front, and then pay the machine off once the training has been fulfilled. Be sure to compare the price of the used machine to the new one you would purchase along with its capabilities. On Wednesday, in Part 2 of this series, we’ll talk about the features an embroidery machine offers and how to decide what you need.